– To use Sanskrit while teaching or not? – How to care for yourself during an injury? 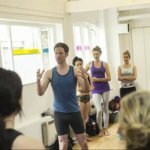 – How do you help individuals find their unique pose in the midst of a group class? For teachers, yoga classrooms are where we work. It’s where we share our passion for the practice, where we earn our livelihood, and where we help students learn skillful ways to manage the human condition. Of course, the studio is also where students come to learn and practice. Students have the reasonable expectation that they can be themselves and experience a safe and supportive environment. And, they can –if they’re reasonable. And, students are reasonable — usually. 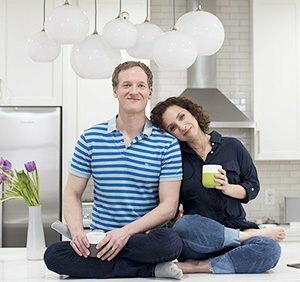 Like all group environments — especially where the general ethos is “do whatever makes you feel good,” and where the stated fire-code allotment for number of humans that can safely fit into a room is regularly ignored — the social etiquette of YogaLand can be open to interpretation. From time-to-time, students go off the rails and it can be challenging to know how to respond. In Part One, I talked about students who “do their own thaaang” and students who are so physically satisfied with their practice that they serenade class with moans and groans that are better suited for more intimate environments. As teachers, we need to ask ourselves two related questions when we encounter questionable behavior in a class: First, is the behavior truly a problem for the group? And second, do we need to take control of the situation to protect the overall group experience, or do we need to let it ride? Now, let me paint a few scenes. I’m going to be honest, I don’t mind when people leave before Savasana. Yes, it’s important. Yes, it’s part of the practice. Yes, we live in a vata-deranged culture and everyone needs Savasana. I’m not going to argue against those points. But, some people have children to pick up at an exact time, or they have an incredibly brief window between jobs. Or, they simply can’t handle laying on the ground for 6-10 minutes in a room full of other adults. I genuinely have empathy for all of these situations. But, I’ve got to tell you, it takes every single second of patience that I’ve accrued in 20 years of practicing yoga, to keep my blood pressure from spiking when someone leaves in the middle of Savasana — or, worse, 10 seconds before Savasana is over! There’s a natural settling-in phase when students are transitioning to Savasana. I don’t think students are disturbed when others leave during the onset of savasana because there’s already plenty of sound and rustling while everyone prepares for their 10-minute rest. When someone leaves in the middle of Savasana it’s a much more significant disturbance. And, it’s almost always made worse by the student leaving because they’re trying to be quiet, which translates to 45 seconds of hearing a mat sloooooowly peeling off the ground, 45 seconds of floor boards creaking while the student walks to the back of the room to collect their belongings, 90 seconds of the belongings shifting around until the student is able to put their handmade eye-bag away, and another 30 seconds of the squeaky studio door being closed. As teachers, there’s almost no way to guarantee that someone doesn’t occasionally bail half-way through Savasana. And, hey, maybe someone just remembered that they’re needed on a conference call or whatever. We’re all human and this is going to happen. But, there are two things you can do to minimize these incidents. First of all, end your [email protected]#$%^% classes on time!!! Don’t expect that everyone in your class can go over by 5 minutes or more because you took too long to get to your peak pose! We’ve all gone over — I’ve gone over — but I think it’s incredibly important to end class when the schedule says that class is over. 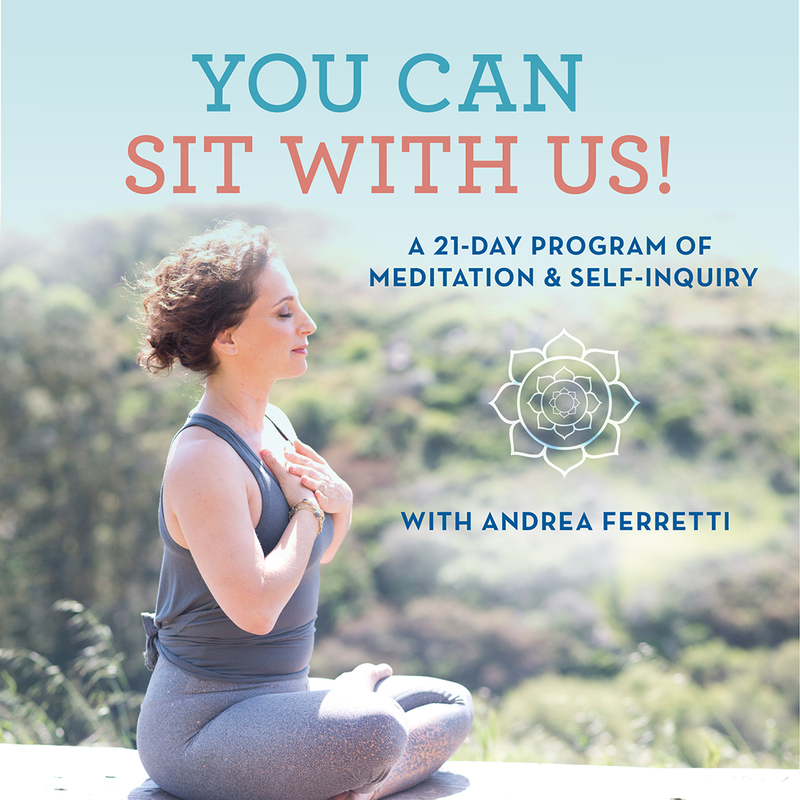 The second thing you can do is make periodic announcements in your class that you’ll be ending on time, that you’d prefer students to stay for Savasana, but if anyone needs to leave early, do so before Savasana begins or when class is over. Namaste. SHOWER, SOAP, AND DEODORANT? NOPE, I’D RATHER NOT! We’ve all forgotten to wear deodorant. And, sometimes, the deodorant that we’re wearing is having a bad day and is not up to the task of masking our wild side. Perhaps you believe that deodorant is evil and that it masks your natural pheromones. Fine. All those things are fine. But, attempting to have a body odor that won’t knock a pigeon out of mid-air while it’s cruising past the window of the yoga studio is, I believe, part of the modern social contract. As a yoga teacher, I’ve never approached someone about their odor. As a studio manager, I have. Fortunately, it’s very rare that someone’s odor rises to level of a necessary conversation. But, it does happen. 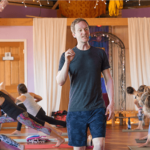 I can think of three occasions over a 5-year period where, as a yoga director, I had enough complaints from the community about people’s odor that I needed to intervene. It was a high-end fitness facility and the problem was that each of the individuals involved were doing intensive training before coming to class. They’d come to class directly after their training and arrive in a remarkably funky state. This wasn’t once or twice. This was a few classes every week for months. Eventually, in each of the scenarios, I had to address the individuals. It was difficult, but managers have difficult jobs sometimes. So, if you have a student whose odor is compromising the group experience, take it to your manager and ask them to have a conversation with them. If you prefer to handle it yourself, go for it. Be nice. Of course. Cell phones are going to ring, buzz, ding, quack, play questionable ring tones, like “Oops I didn’t again, I played with your heart…” during class. Yes, one Saturday morning during Savasana my class was serenaded with a Britney Spears ringtone. And, yes, I’ve taught yoga for a long time. I want to conclude with a reminder that this two-part series is written with love. Seriously. I wouldn’t have a fraction of the life that I have without my students and I know that most teachers feel the same way. At the same time, this is our workplace and it’s important that we have the tools to manage some of challenges that happen while we’re teaching. Be loving, be clear, and have boundaries. Most of us feel compelled to practice at more or less the same pace all of the time. 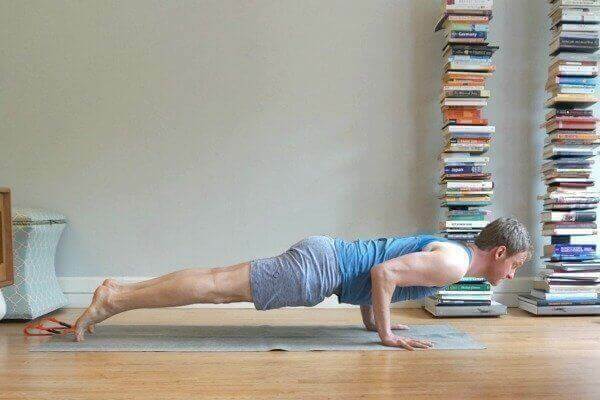 If you prefer a slow, quiet practice, you probably always do a slow, quiet practice. If you like a nice strong flow, you probably always do a nice strong flow. If you’re feeling stale, changing up the pace of your practice is one of the best ways to find new inspiration. When you change the pace, the rhythm of your breathing and the overall feeling of your experience also shift. 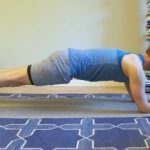 There are days when I’d rather stab myself in the eye than do Chaturanga and Upward-Facing Dog. As a vinyasa-based instructor this can be difficult. Fortunately, I’m completely averse to losing an eye so I take a break from these postures—my staples—from time to time. 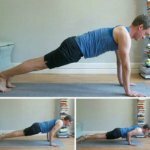 I change my routine to exclude these postures and include different things like longer-held Planks, Locust variations and Cobra. I’m always a little fearful to drop my staples, but leaving these poses off the menu for a few days varies my sequencing and always leads to something interesting that I haven’t explored in a while. It also tends to re-engage my students who are just as happy to have the occasional change of pace. To me, modern yoga can feel very precious and produced at times. Flow classes are perfectly choreographed to the perfect playlist and everyone feels like they have to wear the newest leggings and take photos that they post at just the right time. I’m not being a hater here. I get it. But, we put a lot of pressure on ourselves and it’s important to let it go sometimes. If this sounds like you, let go of the pressure to perform and work on a handful of poses that feel sloppy, dirty, and ugly. Seriously. 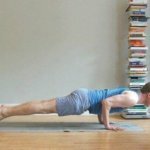 Pick up your worn and torn copy of Light on Yoga (wow, I just dated myself), flip around until you find a pose or two that you haven’t tried in a few years (if ever), and experiment with it. Play around with poses that feel out of your reach, make a mess, and have good time. Aside from my family, my first priority is tending to my yoga practice. My passion for practicing has ebbed and flowed over the years, but it’s been the most consistent thread in my life for 20 years. I can’t imagine my life without it. And, I also explore other physical modalities these days. 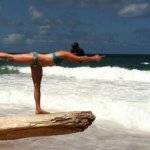 Like me, you may find that doing other physical practices—from running or spinning, to Pilates or martial arts—rekindles your love for yoga. I’m not suggesting that you need to incorporate a different physical discipline to be well and feel whole. But, I’ve found that including other physical disciplines in my life makes me crave my yoga practice even more. 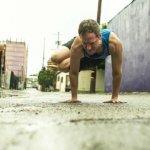 Perhaps my most obvious yet essential suggestion is to reconnect with your practice by getting back on your mat. 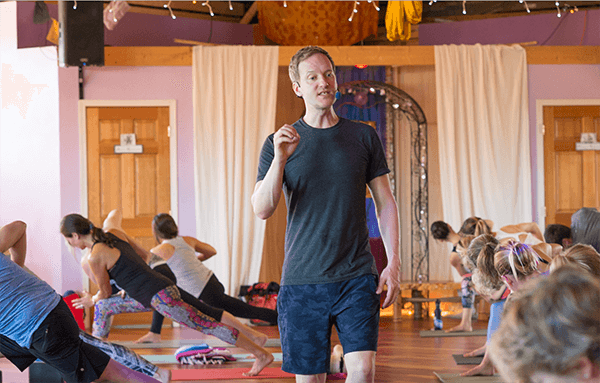 If your practice is lackluster—or you’ve been disinclined to practice at all—you need to reconnect to the heart of your practice by making peace with the fact that your passion may ebb and flow. Then, make the permanent decision that your practice is your practice. It’s your free time to do what you want, and enjoy yourself. Maybe this means taking a different class, doing a different home practice at a different time, or exploring meditation and pranayama. Maybe it is as easy as this: Your practice is right there waiting for you. Go enjoy it.